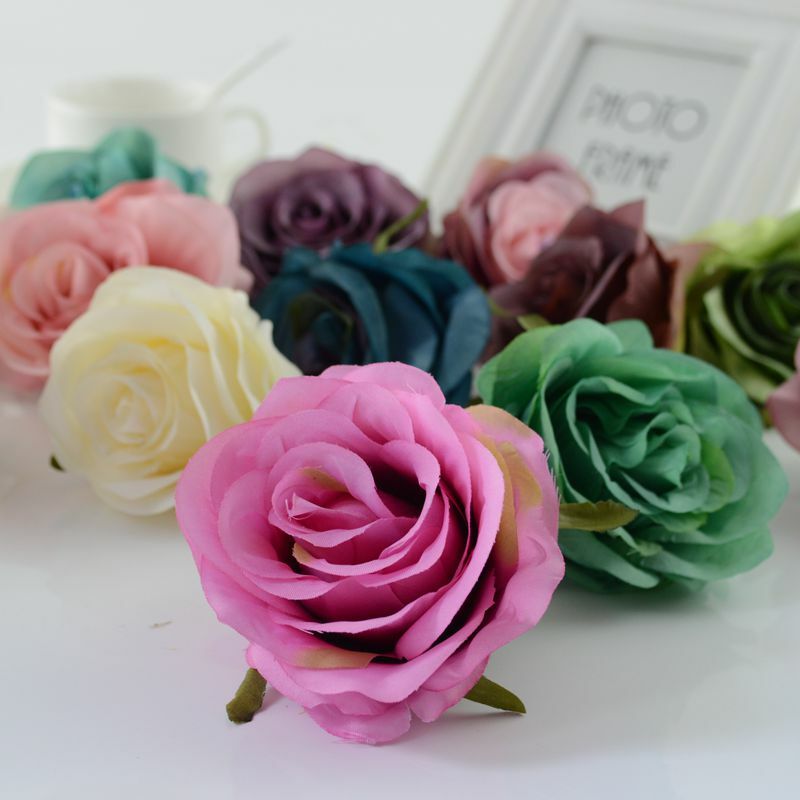 Product Name: Retro roses Material: silk Cloth Specifications: flower head diameter of 7cm or so, Uses: birthday send flowers, celebration of send flowers, love flowers, sympathy flowers, festival of flowers, home decoration! Color: As the light display and other factors, may lead to a slight color picture and in-kind, the final color, please prevail in kind goods. About Us 1). If you are an individual buyer, remember to add us to your favourite seller. 2). If you are a wholesaler or looking for a business partner in China, please contact us. About Orders 1). Please contact supplier first if you want to place a large order. Also we will get large discount from the express company if your quantity of your order is large. 2).If you want to mix order, please contact with us before you finish the payment as we can give you some discount. Shippint 1).Items are only shipped after payment is received. 2).We ship item via EMS, DHL, UPS, FEDEX, TNT, China Post Air Mail or HongKong Post Air Mail, Free shipping Order will be shipped by China Post Air Mail. Order more than $150 by EMS, DHL or FEDEX free shipping. 3). In order to ensure you receive your order with tax free upon import, we will declare it as a “gift” with a lower value (does not reflect the total price you paid); If any import charges or fees are the buyer’s responsibilit. Payment 1).You van pay using Money bookers,Visa, MasterCard credit cards and bank transfer. 2).You can also pay with select debit cards including Maestro, Solo, Carte Bleue, Postepay, CartaSi, 4B support Aliexpress Escrow service. Feedback 1).You satisfactory is our only prsuit. Your feedback is extremely important to us. 2).Please kindly leave us positive feedback once you’re satisfied with your purchase. 3). Please don’t hesitate to contact us if you’re unhappy with your buy,we’ll solve all the problems with you.